Amazon has raised the price of monthly Prime memberships in the US by $2 to $12.99 (£9.40), in a bid to push more people to an annual plan. The annual cost of Prime, which includes two-day shipping and video streaming, was unchanged at $99. Amazon said the change does not affect the UK or other countries. Amazon has focused on boosting Prime subscribers, which its chief financial officer has called its “most important customer base”. Prime subscribers tend to do more shopping with the company. The service is available in 16 countries. While Amazon has declined to say how many members it has, analysts estimate that it boasts almost 90 million in the US and has rapidly growing international numbers. 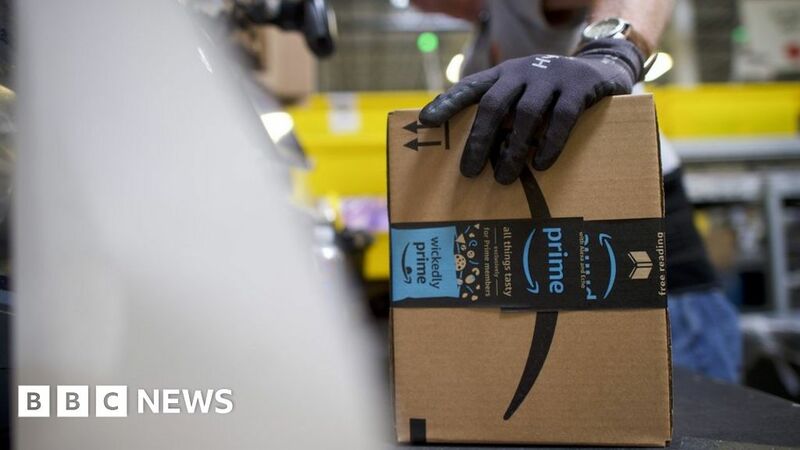 Amazon said it has invested in making Prime more valuable to its members, making more items eligible for Prime shipping and increasing the video offerings. The firm has said its monthly Prime memberships, which first became available in 2016, are a good way to introduce people to the service. About a quarter of Prime members opt for the monthly service, Consumer Intelligence Research Partners estimated last year. The new monthly price went into effect on 19 January for new members. It will phase in on 18 February for existing subscribers. In addition to the $2 hike to monthly plans, Amazon increased the price of its monthly student plan from $5.49 to $6.49. The rise may be a sign that companies are becoming more confident that customers can bear higher prices. Video streaming service Netflix raised prices on its offerings last autumn. Analysts said they did not expect the change to hurt Amazon. The firm’s shares rose briefly on Friday morning before easing back.